Having some 1:1 time with CC and I was suddenly inspired to try a new restaurant (I usually wait a bit before going to a new place, just to give them time to work out the kinks, etc.). There were a few options but the name AnnaLena, as well as its menu, intrigued me, so we checked it out on a Friday night. 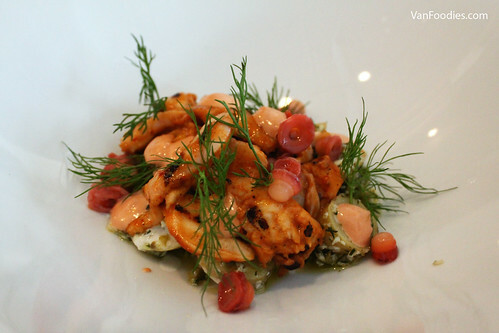 The Grilled Octopus reminded me of a potato salad, an elevated version that was executed well. The octopus was cut into small pieces so they were easier to cook and could absorb flavours easily. They were tender, and the suction cups were so much fun to eat. The lobster mayo offered a hint of ocean taste. The dill was quite prominent but I liked the fresh element that it brought. 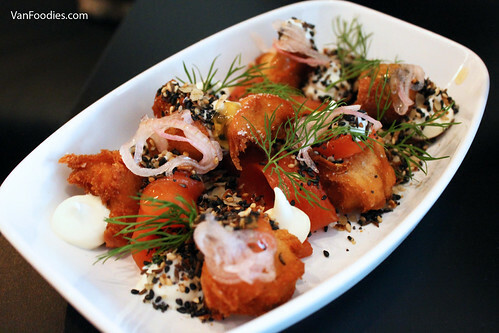 The Cured Salmon was basically a deconstructed lox and bagel. The house cured salmon had a good meaty texture thanks to the thick cut, and it’s not overly salty. The croutons were perhaps a bit too greasy for my liking, but I absolutely loved the chewy texture. Especially when you combined the croutons with the everything bagel spice, it definitely reminded me of the Montreal style bagels we kept on going back for when we visited Montreal this summer. 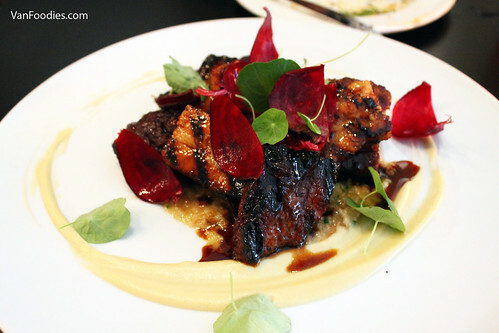 Even though pork belly was supposed to be the star of Tamari Marinated Grilled Pork Belly, what surprised and impressed me was the braised beets. They were soft, absorbed all the flavours, and they almost had this meat quality to it. I never knew beets have the potential to be a meat substitute! That being said, the pork belly was tender, grilled nicely with charred marks. I wasn’t a fan of the oat porridge; the texture was just a bit too thick and pasty for my liking. The 42hr Lamb Neck was just succulent! The meat was fork tender, moist. 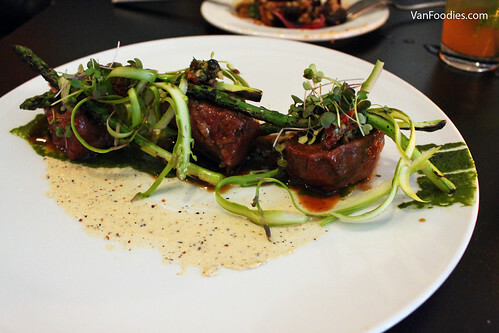 The shaved raw asparagus and grilled asparagus balanced the otherwise rich dish with some freshness. The charred yogurt was interesting; yogurt and lamb is a natural pairing but by charring it added an extra layer of flavour. This plate was missing some carbs, but it was still a very satisfying dish. For dessert, we opted for the day’s special Pistachio Cake. The cake was crunchy outside, moist inside, with prominent nutty note. 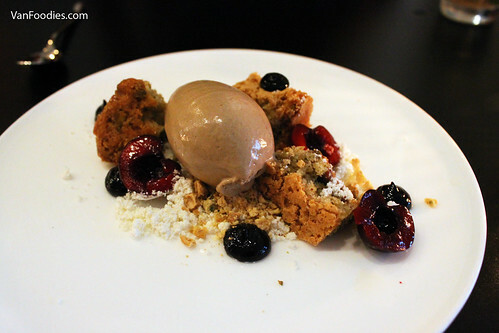 The coffee hazelnut ice cream was creamy, and cherry compote was sweet and slightly tart. This plate was just so complex in terms of texture and flavours. A very unique dish. Similar to Torafuku, the presentation of the plates was, just, stunning! The plates were colourful; each element was carefully placed on the plate. I’m very impressed by the level of attention to detail when it comes to plating. Feast on the eyes! 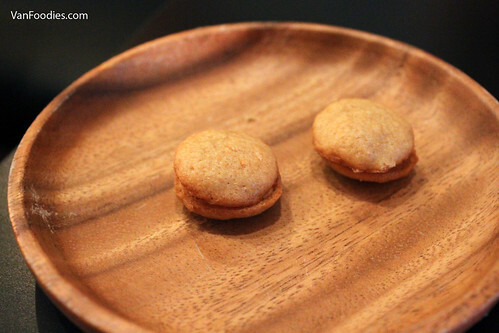 As we got our bill, we were also served with two little Miso Macarons & Star Anise Butter Cream. You usually expect macarons to be sweet, but these definitely had a savoury tone to it. Asian inspired flavours, a pleasant finish to the meal. It was Friday night, and when we first arrived at 6:30pm, the restaurant wasn’t very busy. Then throughout the evening, it got busier and busier and it was still fully seated when we left more than 2 hours later. The service was prompt; I like that they thoroughly introduced every dish as they arrived at the table. The downside was, it was quite noisy in the restaurant so it’s actually quite hard to hear what the server was telling us. This was a very satisfying dinner, for my belly, and for my eyes. Flavours were on point, plates were beautiful. 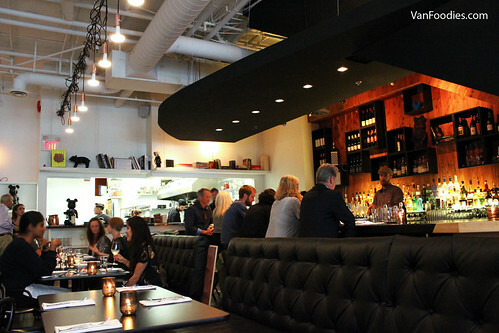 I’m glad to see such high quality restaurant in this spot and I truly wish that they will be around for a long time. Will definitely come back here!